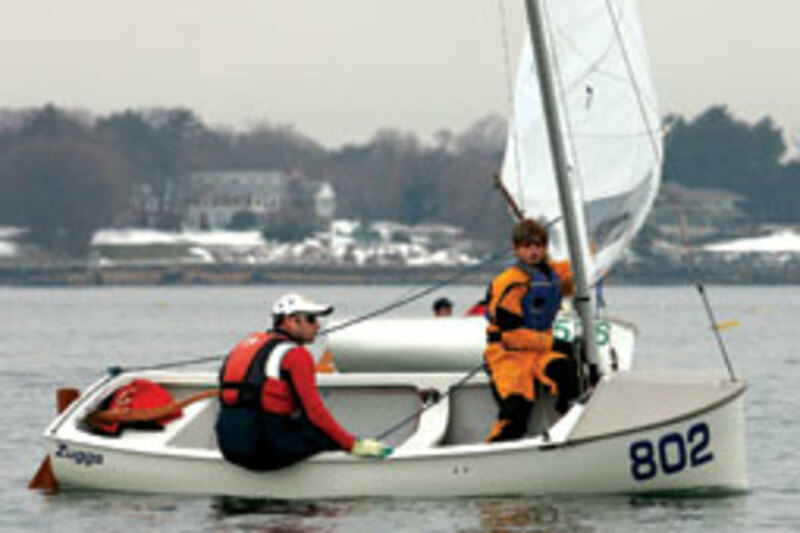 Although the sport is called frostbite racing, there was little likelihood that the participants would suffer from exposure to the cold during this year&apos;s annual New Year&apos;s regatta at Manhasset Bay (N.Y.) Yacht Club. The temperature had risen to a relatively balmy 49 degrees when the action began at noon on the bay on Long Island&apos;s North Shore, where organized winter sailing was invented. 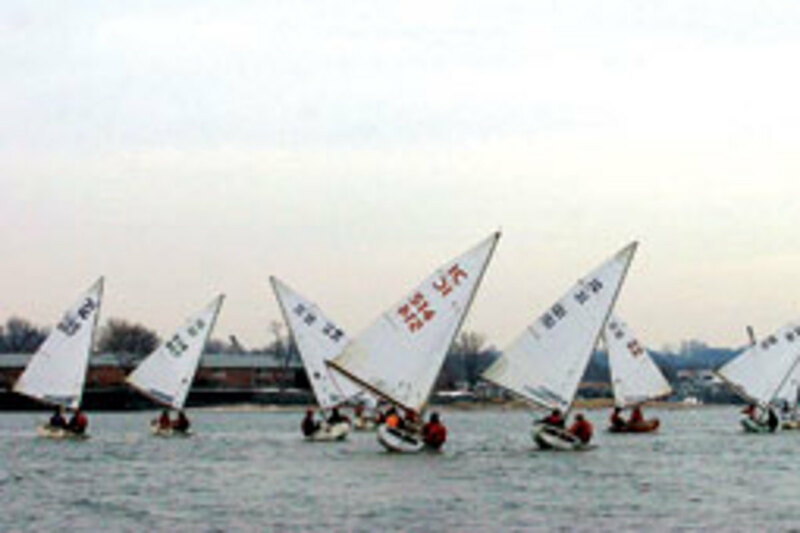 The concept of racing small sailboats through the cold months - now enjoyed or endured all along the New England coast - began Jan. 2, 1932, at the now-defunct Knickerbocker Yacht Club in Port Washington, and has been continued every year since by the adjacent Manhasset Bay Yacht Club. According to a club history, the first frostbite regatta stemmed from a December get-together in 1931 at William Taylor&apos;s Port Washington home at which the four participants argued about which of their sailing dinghies was the fastest. 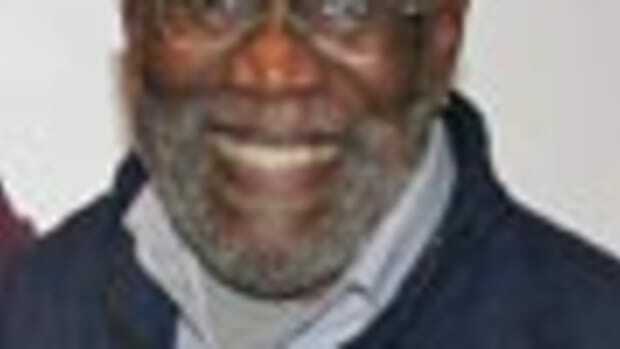 Gordon Curry suggested they hold a regatta to settle the question. It was held Jan. 2 at Knickerbocker, where the four participants were members. The New York Times reported the following day that the three races were held, respectively, in very cold weather, hail and a snowstorm. 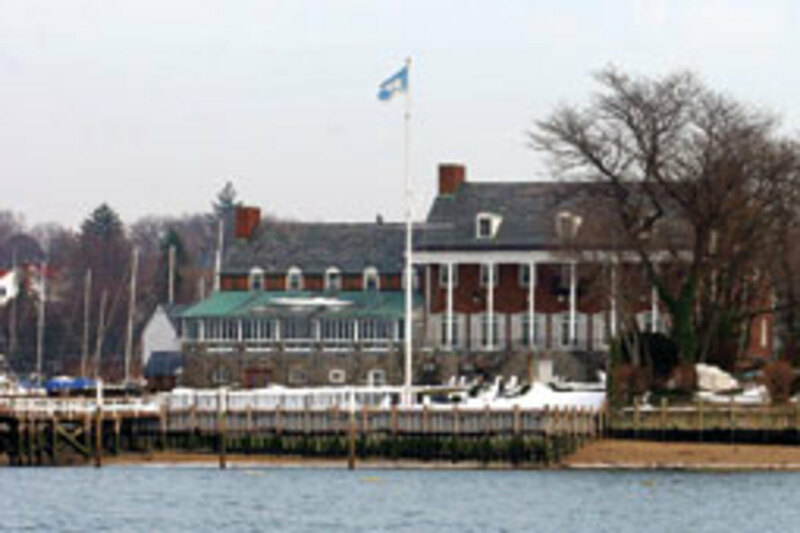 According to club history, after a second regatta was held the following weekend in New Rochelle, the Frostbite Yacht Club was born with a blue and white polar bear burgee. In the first season, several yacht clubs served as hosts and nearly 150 races were sailed. 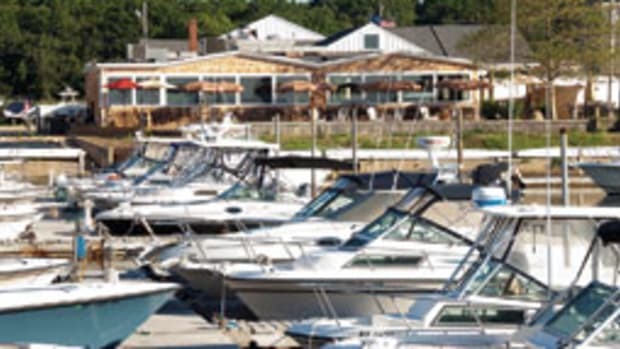 Manhasset Bay commodore Susan Miller says less than 10 percent of the members participate in frostbiting. "It&apos;s the die-hards, the people who really want to be on the water to hone their skills and just enjoy the craziness of it," she says. "It&apos;s very social," she adds, with the participants gathering afterwards for hot chocolate, coffee or stronger refreshments from the bar. 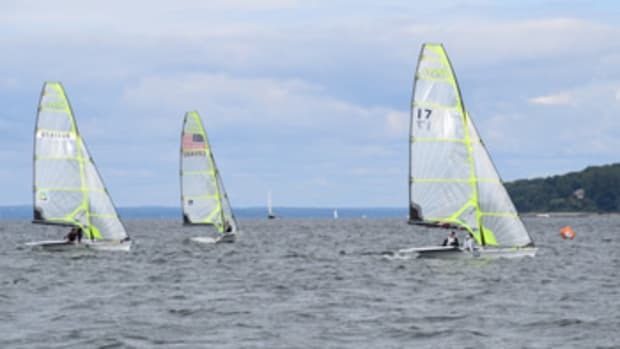 The high point of Manhasset Bay Yacht Club&apos;s winter Sunday series is a one- to three-day New Year&apos;s regatta that this year attracted 22 boats in three classes: two-person InterClub dinghies; Ideal 18 keelboats; and one-person Lasers. The second planned day of competition proved windless so the races gave way to eating and socializing. Miller said one year the regatta had to be cancelled because the bay froze solid. She was worried about this year&apos;s race because they had to break through the ice with a skiff the day before racing was to begin in order to moor the committee boat in the harbor, but warmer weather overnight melted much of the ice. Some days of racing have been canceled in past years because of high winds, but the frostbiters are a tenacious bunch. Two or three chase boats are on hand to pluck any capsized sailors from the water before hypothermia sets, but no one flipped this year. 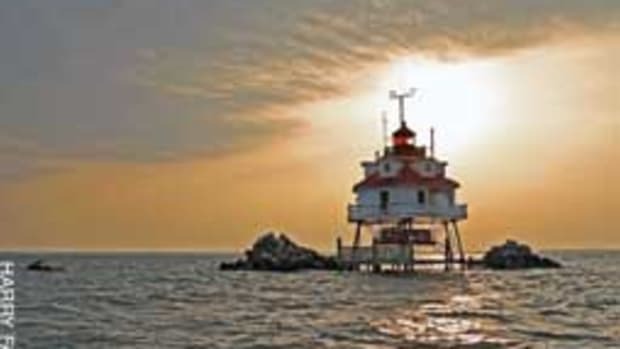 "The attraction is being able to sail through the winter with great conditions, compared to being out here in the summer when there&apos;s no wind," says Dan Catanzaro, a microbiologist from Port Washington who began frostbiting two years ago. This year he had to dig his Laser out of a snowbank before he could rig it. "It&apos;s a lovely day. It&apos;s very pleasant to go out and sail in this," he adds as bright sun melted the snow in the parking lot. 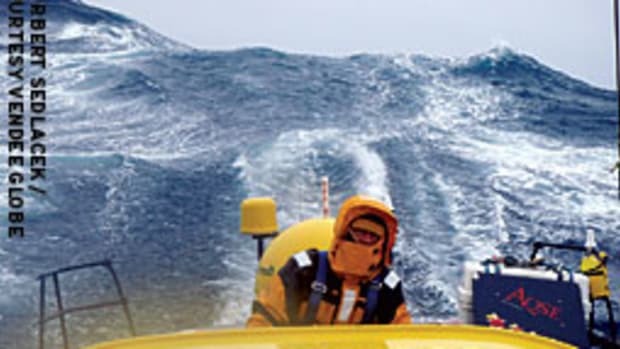 "Last year it was howling about 20 knots and it was also below zero." Gregory Stebbins of Port Washington, a middle school student whose family belongs to the club and who has been sailing since he was 4, says he loves to race in the winter "because there&apos;s definitely more of a breeze and I don&apos;t have to deal with blistering heat all the time - and I have better competition than sailing with a bunch of other kids." "Sometimes we go out in 29-degree weather and I get pretty cold," says Stebbins, wearing a knitted ski hat and neoprene gloves with his drysuit. With that gear, he was more afraid of getting overheated this year. But since he knows his Laser can capsize, he acknowledges he needs to dress for the water temperature. 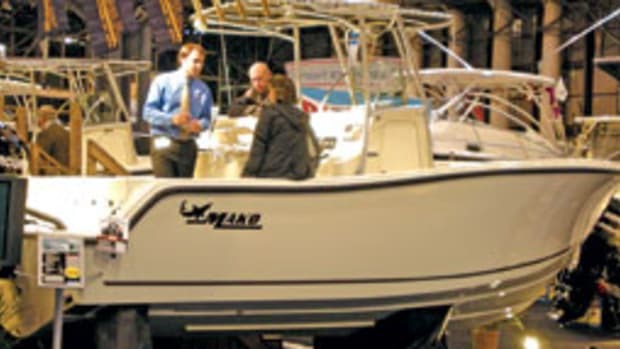 "There is a 20-20 rule," says Vince Syracuse, a lawyer who lives in Manhasset and has been sailing an Ideal 18 at the club year-round for four years. "If it&apos;s blowing more than 20 and below 20, we generally don&apos;t sail. I think it&apos;s a lot of fun. It keeps me fit and from watching TV. It&apos;s a great way to learn and polish my skills." 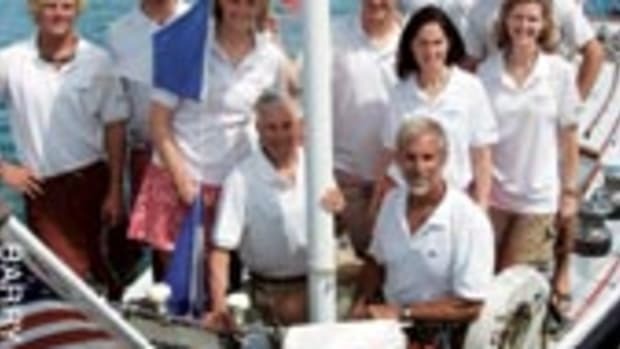 His crew was John Bainton of South Norwalk, Conn., sailing director of Indian Harbor Yacht Club. "Wintertime racing is generally shorter so you get a lot more races in a short period of time than you do in the summertime, so part of the appeal is that you get a lot of practice in a short period of time," Bainton says. Catryn Silbersack is a high school junior from Port Washington whose parents are members of the club. Her father, John, is the commodore of the frostbite club. "I&apos;ve been doing this for a long time," the teenager says. Specifically, she started frostbiting at the age of 10, despite not being much of a winter sports enthusiast. "It&apos;s a lot colder than summer sailing, but I really like it because I get to spend time with my dad [sailing an InterClub] and all the regulars know each other," she says. "When I was younger, I had to go inside sometimes when it was really cold. But they give you hot food when you get cold." This year, cold wasn&apos;t a problem. "I may have to take off some layers," she says, wearing five layers under her drysuit. While all the racers wear drysuits, this year some were hatless while others donned baseball caps or knitted ski hats. By noon, the race committee was in position out on the moored committee boat, a barge named Kraus&apos; Kastle, named for Howard Kraus, a former frostbiting chairman. 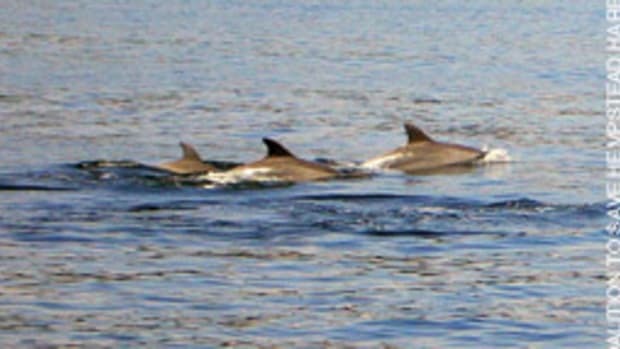 The vessel was well-supplied with Bloody Marys and other refreshments. In the spirit of the event, rather than a horn, the finishers of the first race - one for past commodores of the frostbite club and won by Paul-Jon Patin and Felicity Ryan - were greeted by the race committee with cries of "Happy New Year!"